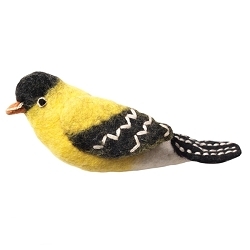 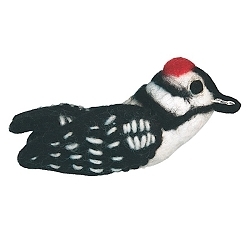 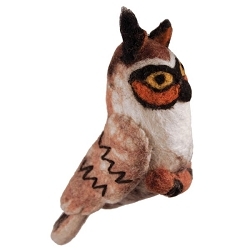 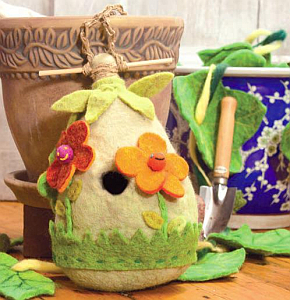 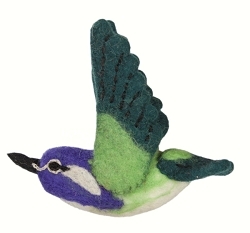 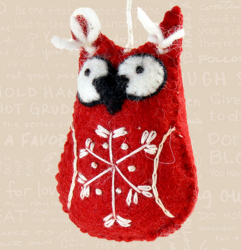 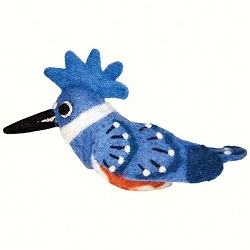 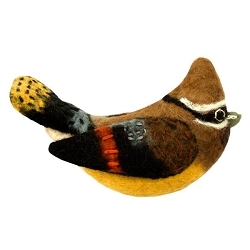 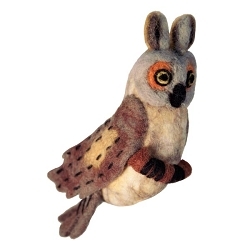 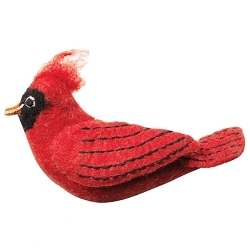 Wild Woolies Collection, Handcrafted Felt Birdhouses and Bird Ornaments. 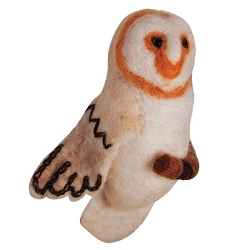 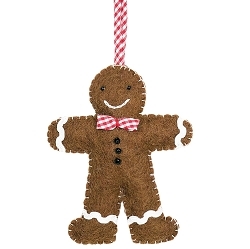 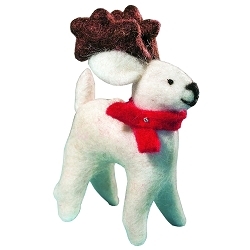 Lovingly soft to the touch because they are made with a fine all-natural wool. 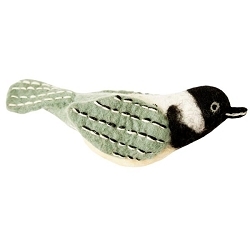 Our Wild Woolie Felt Birdhouses are both functional and decorative. 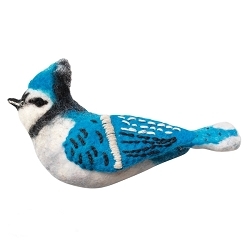 Use indoors as a fun decorative accent, or outdoors as a functional birdhouse for small songbirds such as Chickadees, Wrens, Titmice, Finches, Nuthatches, and Bluebirds. 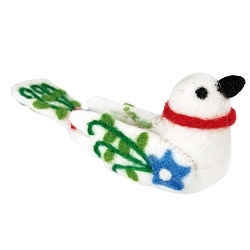 Comes with a 1-1/4" diameter entrance hole, but can be enlarged for larger birds. 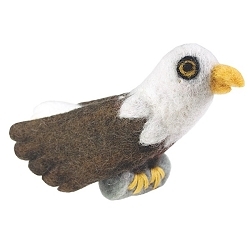 Rain naturally sheds from wool. 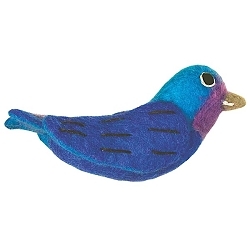 If surface gets wet it will quickly air dry. 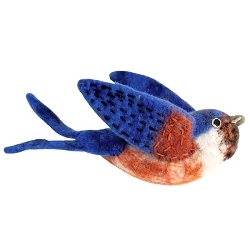 Colors will slowly fade in direct sun. 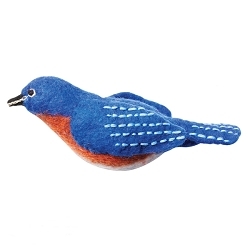 Our charming Wild Woolies Bird Ornaments are educational, decorative and entertaining for both avid birders and everyday admirers of nature's most amazing creatures...wild birds! 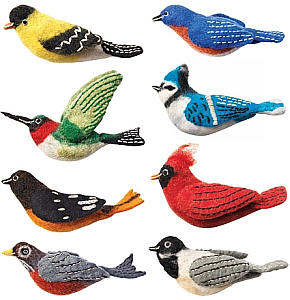 Wild Woolies Bird Ornaments are perfect for decorating holiday trees, garlands, wreaths, or use throughout the year as decorative accents. 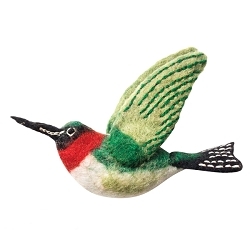 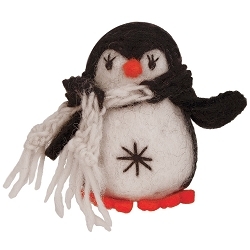 Wild Woolies are eco-friendly and carefully handcrafted by a Fair Trade artisan group.